Chuuk State, with the famous lagoon still referred to as "Truk Lagoon" is located about 590 southeast of Guam and 3372 miles southwest of Hawaii. Chuuk State consists of 11 mangrove-fringed islands in the Chuuk lagoon, and a series of 14 outlying atolls and low islands surrounding the lagoon. This lagoon is one of the world's largest enclosed lagoons. Enclosed by a 225 km. long barrier reef, the lagoon covers an area of 822 square mi. The main islands, Weno, Tonoas, Uman and Fefan are located in Chuuk Lagoon. More than 40,000 of Chuuk State’s population of about 55,000 live on islands in the lagoon. Weno, the main island where Truk Stop Hotel is located, has a population of about 16,000. Chuuk's lagoon was entered into modern history when the US attacked in February, 1944. Chuuk was being used as the headquarters of the Japanese Imperial Navy’s Fourth Fleet. The attack was a dozen times more powerful than the Japanese attack on Pearl Harbor and continued for 2 days and a night, leaving 100's of wrecked ships, aircraft, tanks, guns and equipment at the bottom of the lagoon and scattered about the islands. These wrecks, the largest collection of intact wrecks from WWII, are now the major attraction of Chuuk State. Divers can visit many of the wrecks which now lie at the bottom of the very large, but shallow lagoon. Chuuk people are Micronesians, with their own language, customs and culture. The first westerners to discover Chuuk were Spanish explorers in the 1500's. The Chuukese were skilled navigators and canoe builders using only the stars, moon, waves and wind to get to their destinations. On the outer islands of Pulusuk, Puluwat and Pulap, traditional canoe builders still practice this art of building and navigation. During the last century, Truk was feared by whalers and missionaries. Known as the "Dreaded Hogoleu" for its fierce warriors and unique fighting skills, westerners bypassed the island before the first missionaries established themselves in Chuuk in the late 1800's. In the late 1800's American and European traders planted coconut tree plantations to harvest the meat, know as copra. It was used in perfumes, soap and other consumable products. Some copra is still produced and used in local cottage industry. "Operation Hailstorm", launched on the morning of February 16 1944 had nine aircraft carriers and 16 battleships of the U.S. Navy anchored 90 miles off Truk Lagoon. This surprise air raid attack on the Japanese Imperial Navy’s Fourth Fleet was a dozen times more powerful than the Japanese attack on Pearl Harbor. Thirty waves of attack planes hit the more than 60 Japanese naval vessels in the lagoon with constant bombardment for two days and one night. Truk was important to both sides because of its strategic location of the lagoon in the Caroline Islands. Located just west of the Marshall Islands and just south of Guam the Allies needed Truk to take control of that part of the Central Pacific. Submarines, fuel tankers and cargo ships were caught and destroyed right in the midst of fueling and maintenance. By the end of the second day, most of the 60 vessels were at the bottom of the lagoon and many more were aground on the reefs. Approximately 250 aircraft were also destroyed. This ghostly fleet remains mostly intact at the bottom of Truk Lagoon. Ships, the planes, tanks, guns and all sorts of equipment lay preserved in this aquatic grave where only divers can visit. The islands were mandated to Japan after World War I, then to the United States as the Trust Territory of the Pacific Islands by the United Nations after World War II. In 1979, the Federated States of Micronesia, which includes Chuuk, Pohnpei, Yap and Kosrae was founded. U.S. citizens do not need a passport for entry to Chuuk, a birth certificate or other proof of citizenship is required. Citizens of other countries must have a valid passport and a return or onward ticket. Tourists are granted a stay of up to 30 days. Temperatures range between 70°F to 90°F and the average humidity is in the low 80's. Rainfall varies widely throughout the state. Annual rainfall is about 110 inches. Dress light and casual for Chuuk's tropical climate. Cotton dresses, shorts and sneakers or sandals are appropriate for women. Short shorts and skirts are inappropriate attire, especially in more traditional areas. For men, lightweight summer slacks or shorts, sport shirts or T-shirts and comfortable shoes or sandals. Sunglasses and light plastic raincoats are advisable. 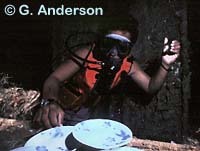 For diving, the water temperature is warm, usually in the low 80°'s. A 2mm or 3mm wetsuit, polartec or at least a protective non-thermal dive skin is recommended depending upon the diver. The FSM Telecommunications Center provides International telephone, telex, and facsimile service as does the Truk Stop Hotel's business center. The country code for telephone and facsimile service is 691. The post office is located at the State Center. FSM postage stamps are a popular souvenir item. The FSM postal service provides regular services including parcel post, express mail, insuring and registering. The standard operating power in Chuuk is 110 volt/ 60 cycles. U.S. type plugs with 2 rectangular prongs are used. The hospital on Weno is adequate to take care of all normal needs. Non-prescription medicines and toilet articles are available from general stores. Prescription medicines must be obtained from pharmacies or hospitals. Visitors are advised to bring enough prescription medicine to cover the period of their visit. Also, all over-the-counter medicines and toiletries may not be identical to items from their home city. Immunizations against cholera and yellow fever are required if the visitor is coming from an infected area. Typhoid, paratyphoid and tetanus shots are strongly recommended. The U.S. dollar is used in Chuuk. Travelers checks and currency can be changed at banks and at some hotels. The Bank of the FSM and Bank of Guam are full-service banks operating in Weno. © 1999-2012, Deborah Fugitt, City Seahorse, Inc. All rights reserved. No one, for any reason, is permitted to copy the photos, graphics or text on these pages without written permission from City Seahorse, Inc. AND Truk Stop Hotel. In the event that an infringement is discovered you will be notified and invoiced the industry standard TRIPLE FEE for unauthorised usage and/or prosecuted for Copyright Infringement in U.S. Federal Court where you will be subject to pay our court costs and attorneys' fees as well as a fine of US$150,000 statutory damages. Write the webmaster for permission or information.